ZHUKOVSKY, May 30. /TASS/. 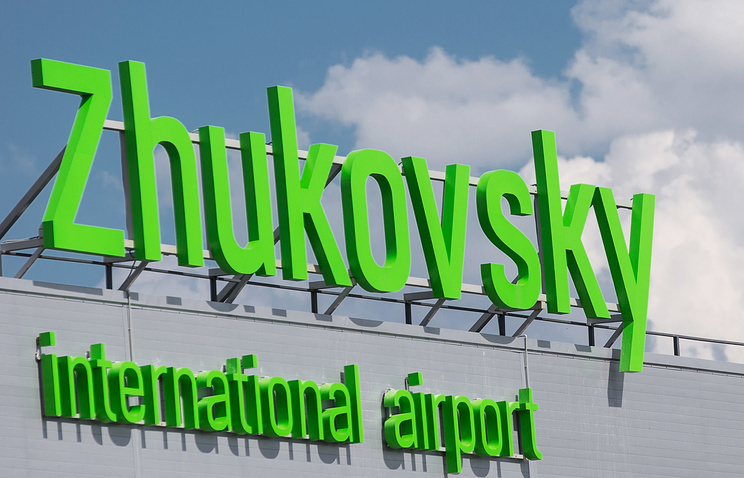 The fourth international airport of Moscow hub was opened on Monday in Zhukovsky, Moscow Region. The opening ceremony was attended by Russian Prime Minister Dmitry Medvedev. The airport development program consists of three stages. A passenger terminal with the area of 15,000 square meters and throughput capacity of 4 mln passengers per year was built within the first stage. The first stage also provides for expansion of a motorway to the airport and parking lots development. The second and third stages anticipate expansion of the first passenger terminal and construction of the second one. The throughput capacity will grow to 12 mln passengers per year and the total area of terminals will be 60,000 square meters, the airport website reports. Over 10 bln rubles ($152 mln) will be invested into development of the airport over five years. A passenger terminal at Zhukovsky airport will not hinder the work of MAKS air show, Dmitry Shugayev, a representative of the Rostec State Corporation, told Russian Prime Minister Dmitry Medvedev. "I am anticipating your next question: will the passenger terminal create problems for the MAKS air show? No, it will not," Shugayev told Medvedev. He said that the MAKS air show takes place once in two years and traditionally falls on Friday, Saturday and Sunday. "Active flights can be restricted from 10:00 in the morning until 17:00 in the afternoon on these days. Planes can be redirected to other airports," Shugayev explained.